The lack of tides mean that the Baltic opens up many new types of mooring which are made easier with having the right set up. Whilst it will take a while before we pass as natives – having the right kit at least makes it easier. We bought our is Sweden as the kit is readily available and possible the one thing that is actually cheaper than the UK. 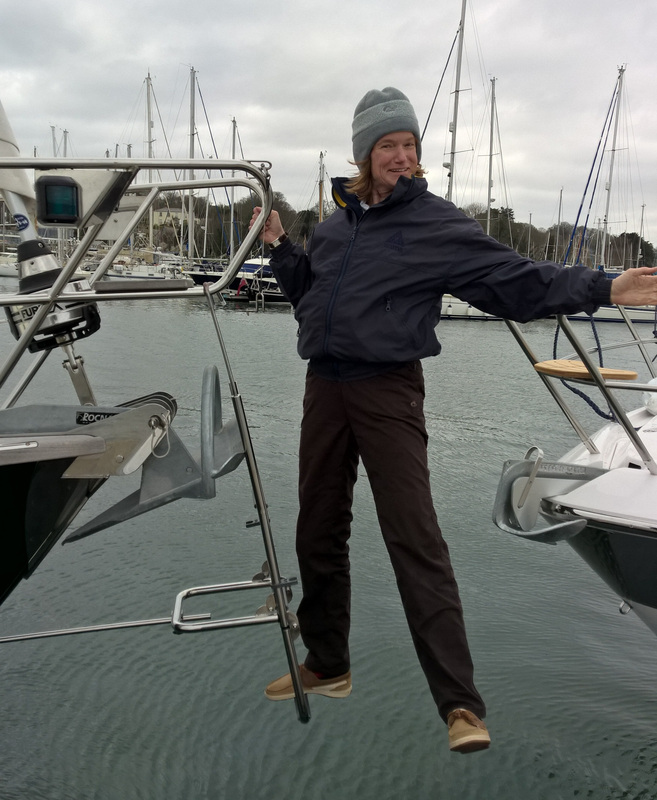 Bow Ladders – given that most moorings either in marinas or tying up to a rock mean that you come in bows to – the only way to get off safely is by using bow ladders. This prevents sprained ankles and makes it a very easy process. 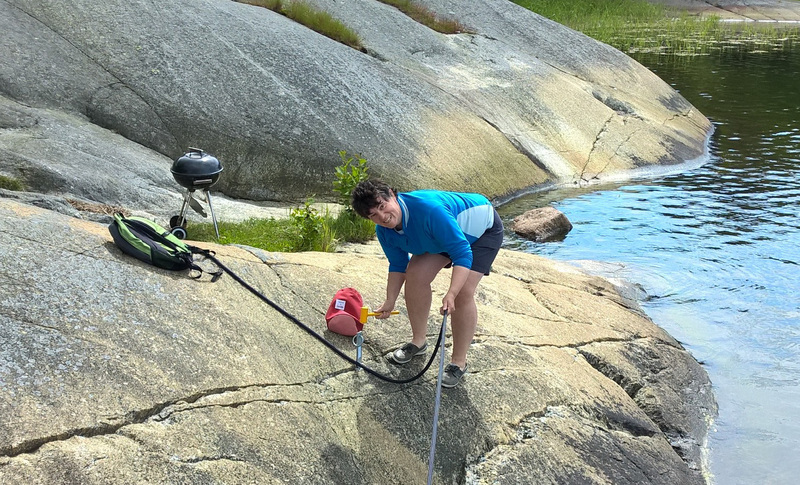 But it doesn’t stop the heart failure as you bring your boat within a meter of solid granite. Ours are made by Batsystem. 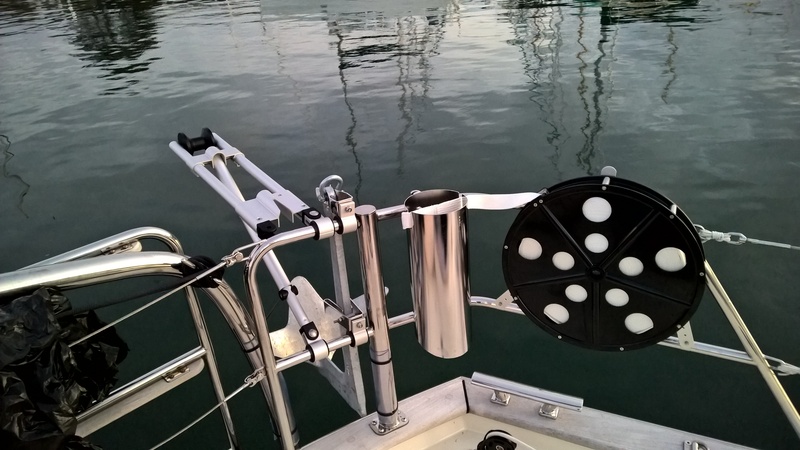 Mooring Hook – in many locations your stern is tied to a buoy. There are 2 types of hook. One which is just an open hook – which works as long as the hook is under tension – which is more difficult to handle if you are short handed. The other has a safety catch to lock it onto the buoy. Stone Hooks and Hammer – If you are tying up to a rock then these get hammered into the cracks to give you a point to tie up to, as trees aren’t always in the right place. Self Locking Safety Hook – this is used around trees and allows you quickly tie up to a tree. The hook is on the end of the rope and you hook it back on the rope. The hook doesn’t open when under pressure and needs to be bent 120 degrees to open it up. Stern Anchor – All the locals use a bruce anchor, but the next question is what size should you get? We have a 20kg anchor with 2 m of 10mm chain for 42ft boat. The size is also determined by what you can handle without giving yourself a hernia. Anchoring Davit – whilst this isn’t essential – it certainly saves our backs and the gel coat. Ours is made by NOA. It folds down when in harbour. Ankarolina – very useful for stern anchoring or when mooring to a buoy when short handed. When it is running out Mags hands it to me and I don’t have to worry about it tangling up. Likewise when bringing it up the reel makes it easy to store. Ours is 56m and 35mm width. Rubbing strake ropes – Box moorings are very common in Denmark and Germany and boats designed for the Baltic have rubbing strakes. 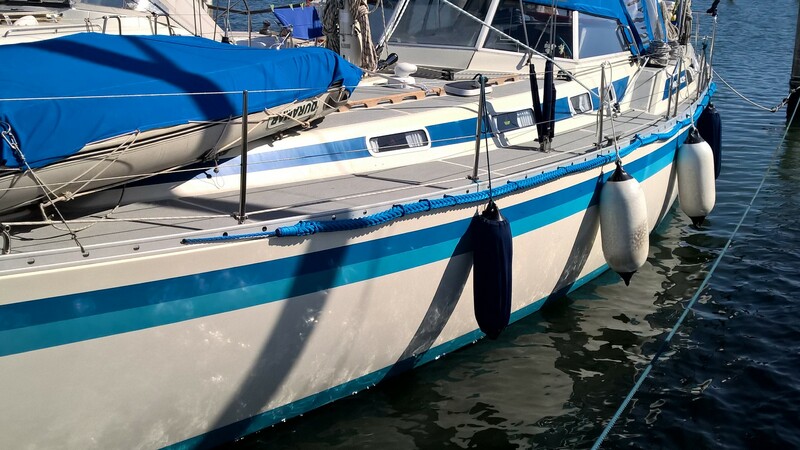 An alternative is to use wide rope suspended along the length of the boat. You can either buy them ready made or make them yourself.